Save your search criteria to get FREE email alerts from matches! Target Profile SearchSave your search critera! Post a listingMake your opportunity visible! Businessvalue EstimationHow much is my Business Worth? Premium Business ValuationBased on international standards. Premium Brand ValuationHow much is my Brand Worth? Deal ManagementWe are here to hold your hand! Data RoomElectronic and secured file sharing! 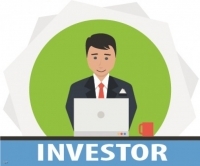 Active Investor ProfilesFind Potential Buyers! Investor Profile SearchSave your search critera! EBITDA NormalizationTo increase purchase price! Looking for a Local Advisor? Partnership for AdvisorsJoin us today! Creare a free agent accountGet started today! Sell-Side ServicesAll you need for a transaction! and make your acquisition opportunity visible! M&A World Global Deal Network is planned to become the NEXT generation global deal sharing systems (deal market places), based on the smart online matching tool, which combines and can organize all segments of merger and acquisition transactions in order to give the Transactions successful outcome. The magic tool is the personalized M&A SMART virtual agent, which makes your life easier. The smart agent works 24/7 around the clock, helping to find the best suitable matches for the searches, whether you are looking for a business, franchise, capital increase or other business opportunities or even if you are interested in the sale. The SMART agent will automatically notify you by email whenever a new match is made, giving YOU an advantage in the search process! Sample profiles can be checked here. Profile fee is 150 EUR/year.